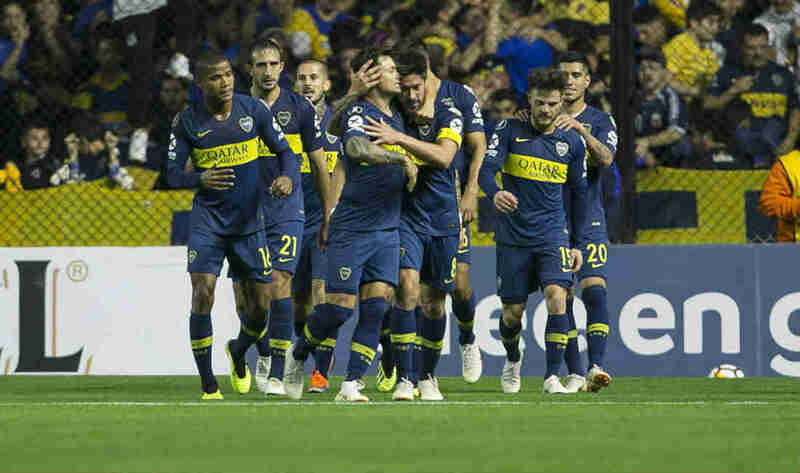 With a 3-1 aggregate victory, six-time Copa Libertadores champions Boca Juniors advanced to the semifinals of South America’s top football club tournament over Cruzeiro on Thursday. Cristian Pavon scored in second-half injury time to earn the Argentine giants a 1-1 draw at the Mineirao Stadium following their 2-0 win in the quarterfinal first leg in Buenos Aires last month. Luiz Ricardo Alves had given the Brazilian outfit early hope by firing in from close range after a scramble inside the six-yard box. But the hosts’ chances sunk when Dede was sent off for a late challenge on Pavon with less than 10 minutes remaining. The Boca No. 7 then put the result beyond doubt by rifling a first-time shot into the top left corner after Ramon Abila had guided the ball into his path with his chest. Boca face Brazil’s Palmeiras in the semifinals with River Plate and Gremio to meet in the other last-four clash.